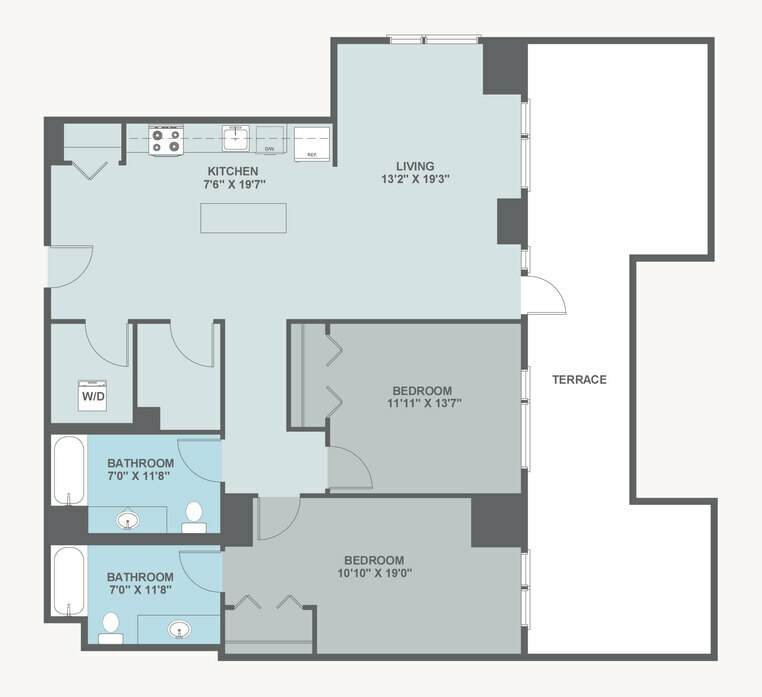 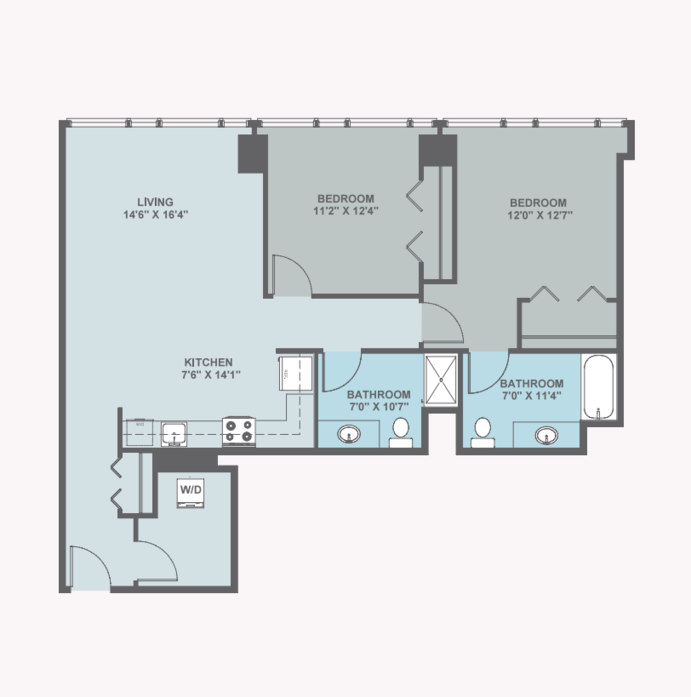 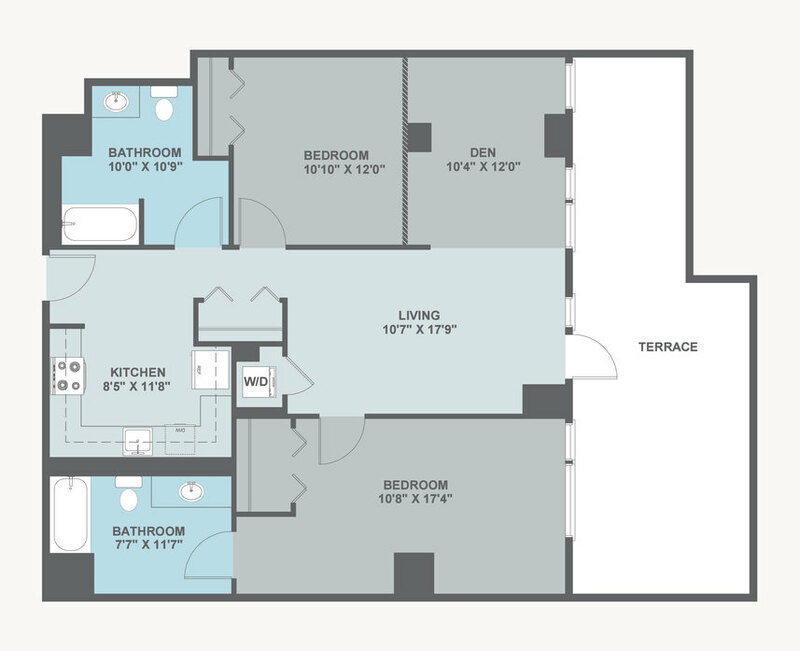 Vantage Oak Park, at twenty-one stories the tallest apartment community in Oak Park, IL, complements its genuinely lofty stature by ensuring that each home features a floor plan designed with a commitment to both style and comfort. 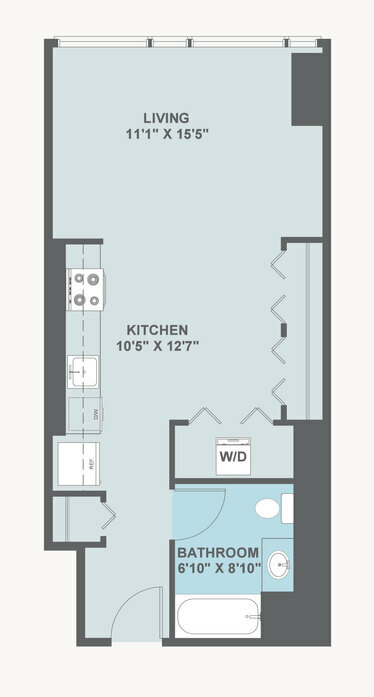 These modern and brand-new studio, 1 and 2 bedroom apartments for rent epitomize upscale living west of downtown Chicago. 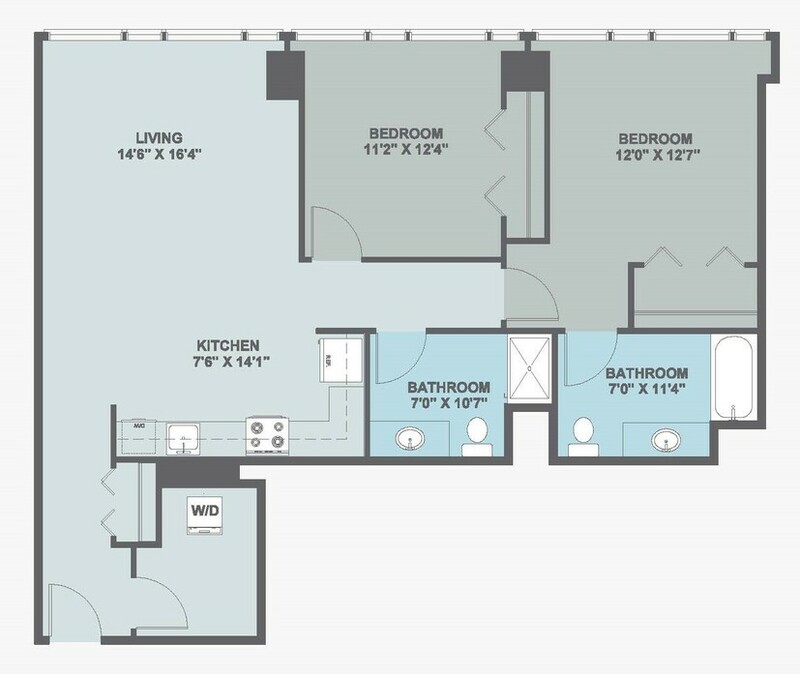 After taking a speedy elevator up to your home, you’ll be impressed with its wood-style plank flooring and high ceilings, both of which emphasize the magnificent floor-to-ceiling windows that offer a life-size window on the world. 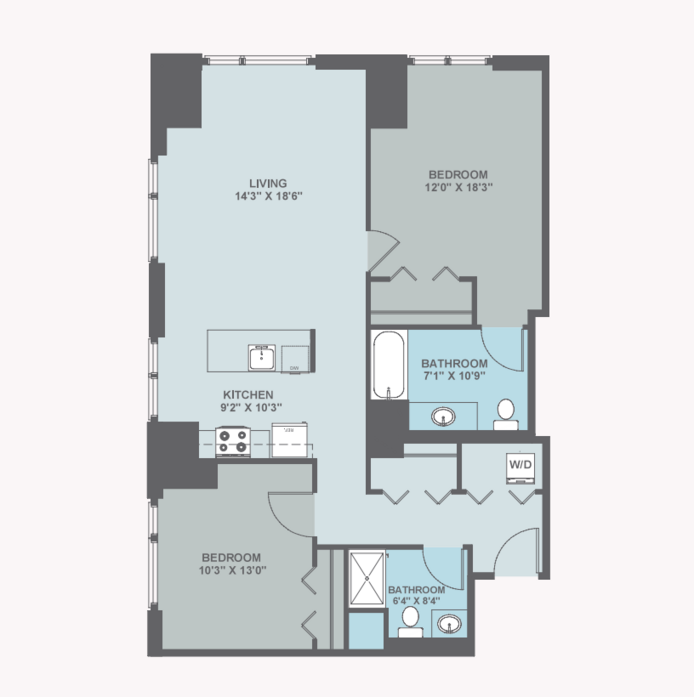 Marvel at the breathtaking views of Oak Park and the dramatic Chicago skyline, and then turn around and take in your gourmet kitchen with its complement of stainless steel appliances. 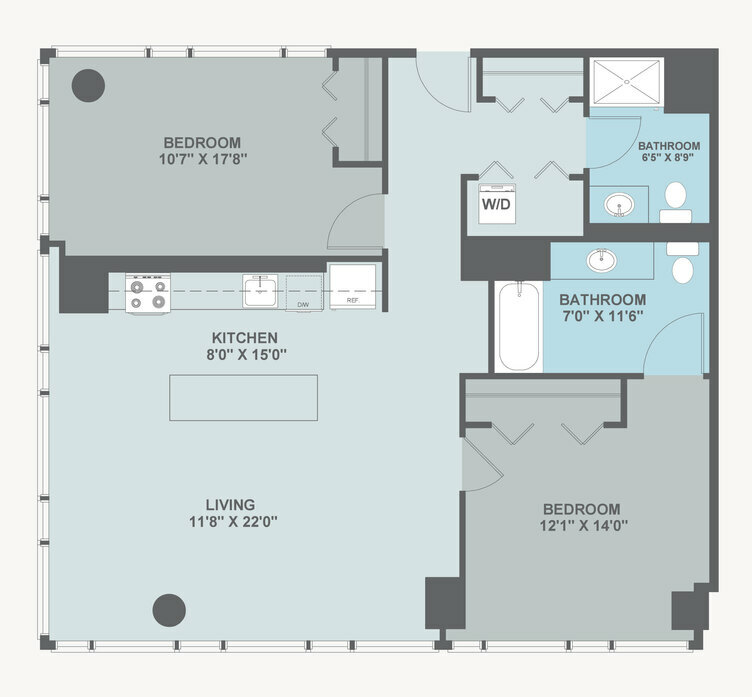 Practical features in the home include large closets and an in-home washer and dryer set. 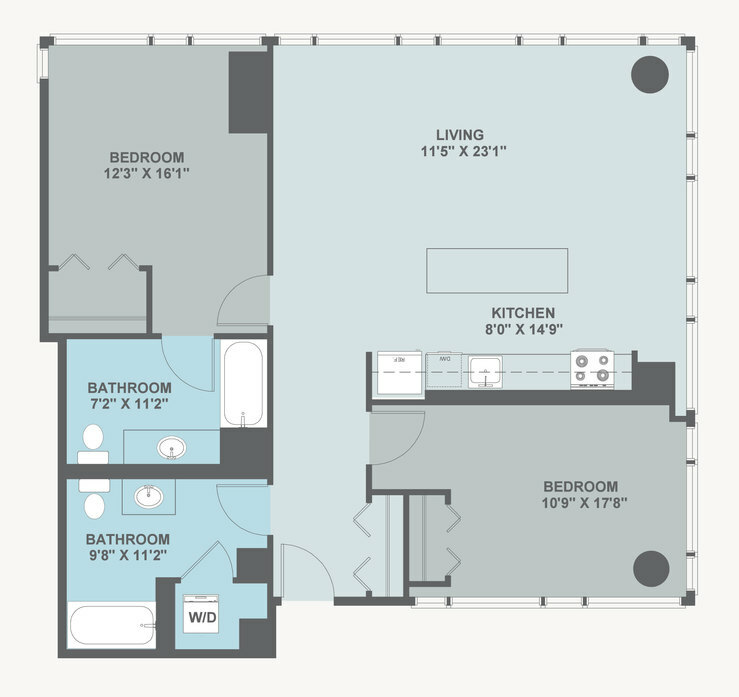 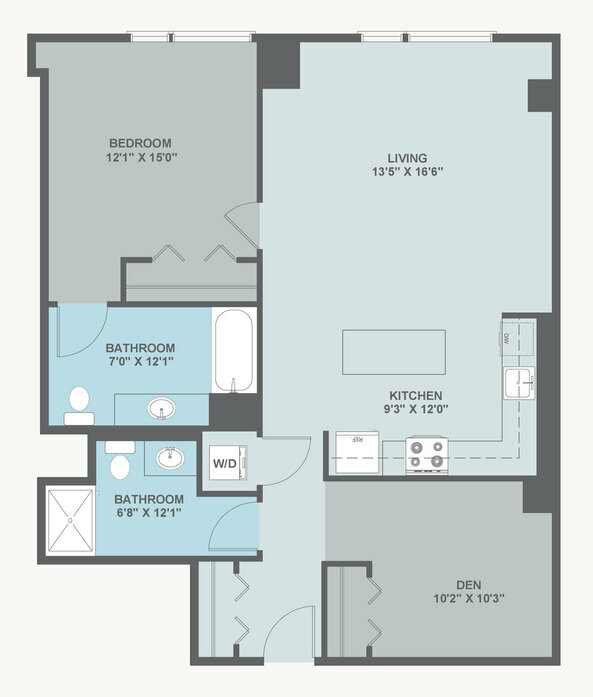 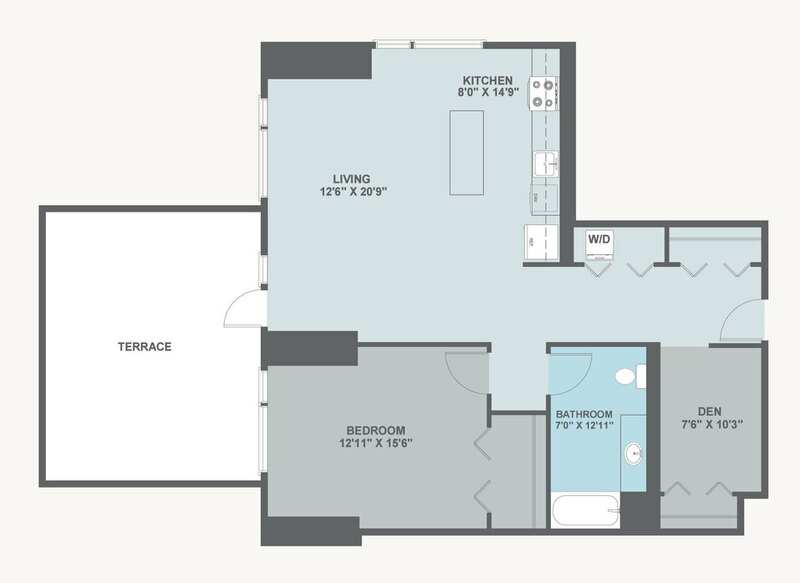 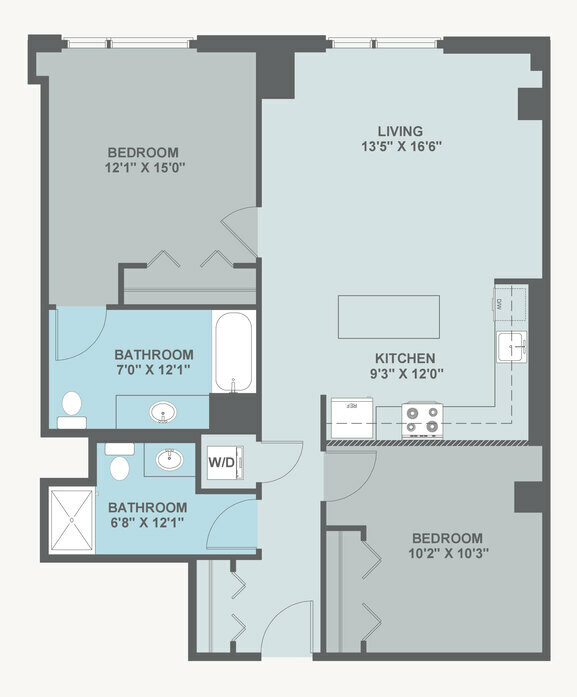 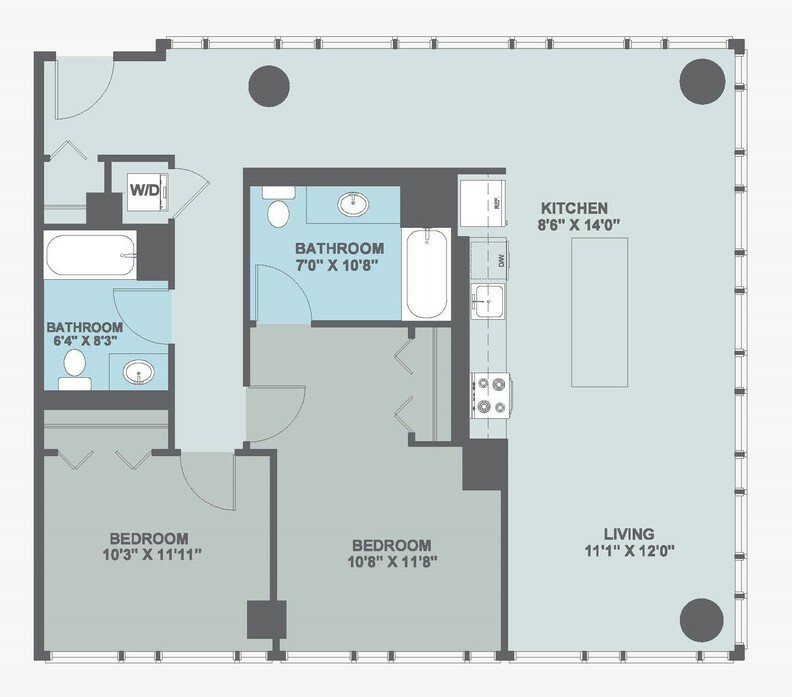 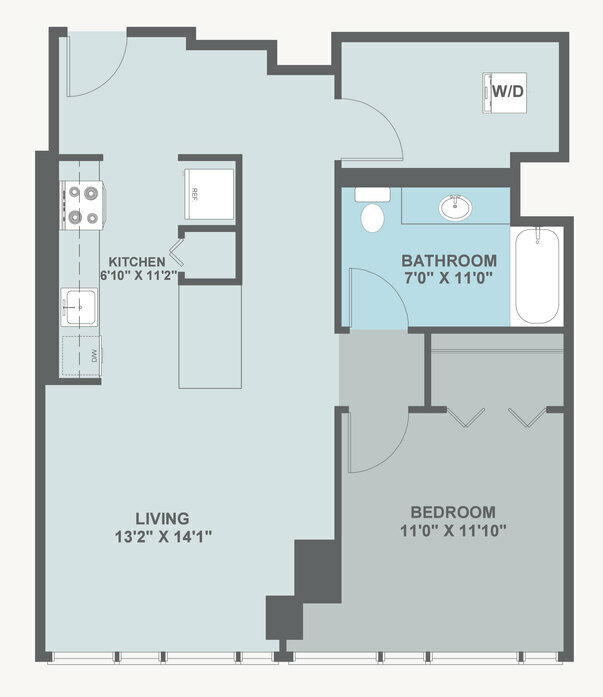 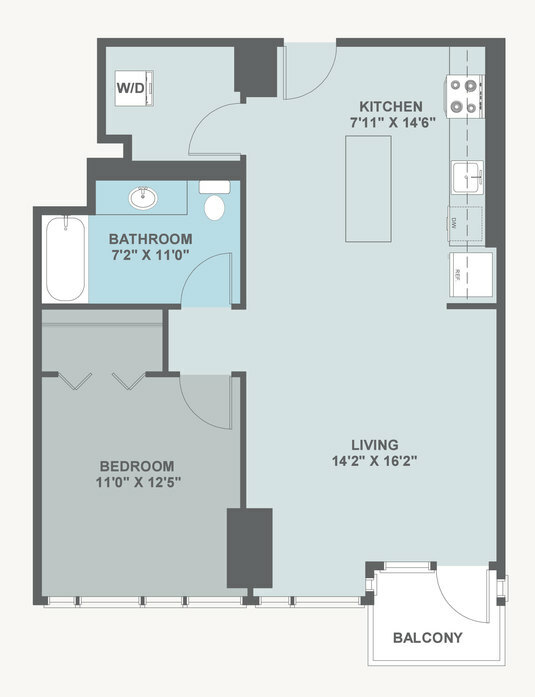 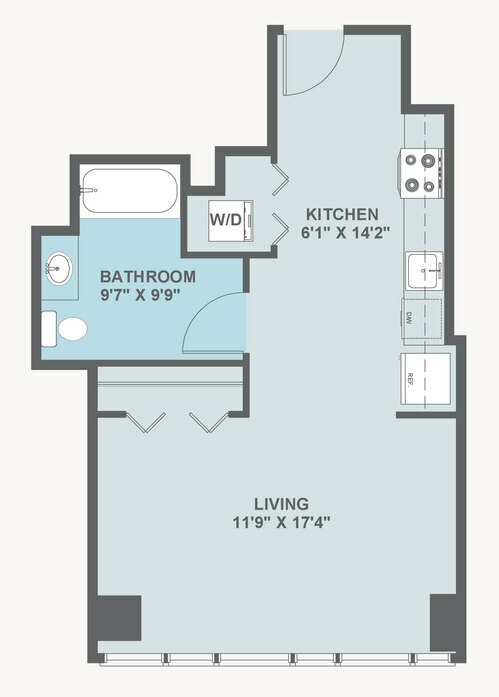 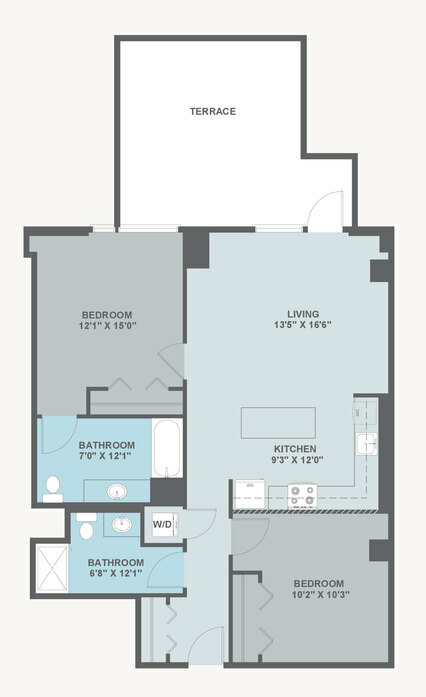 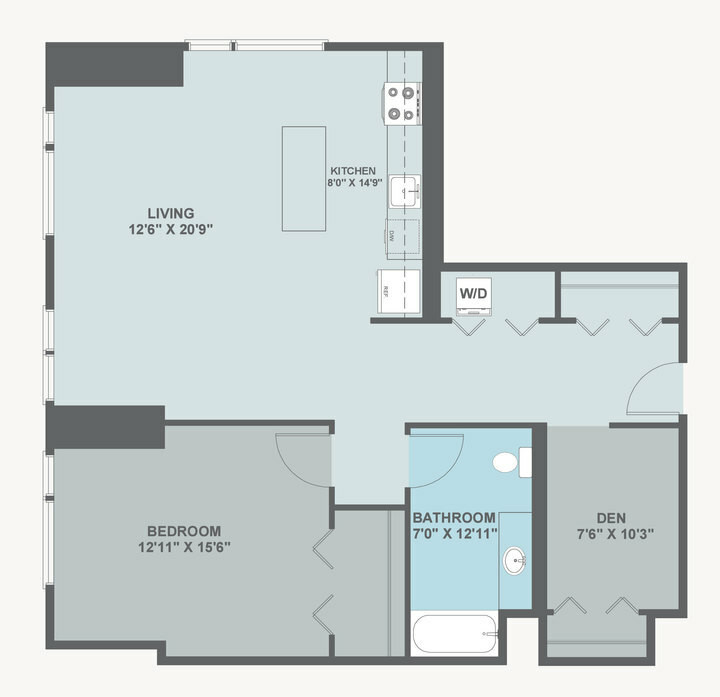 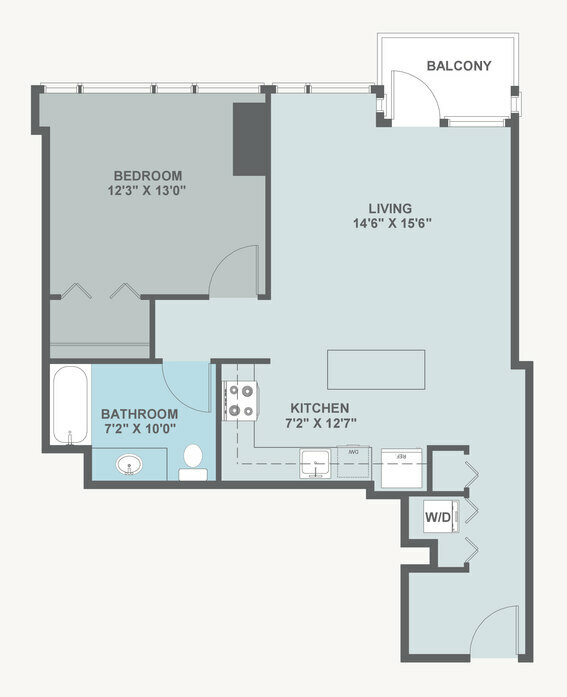 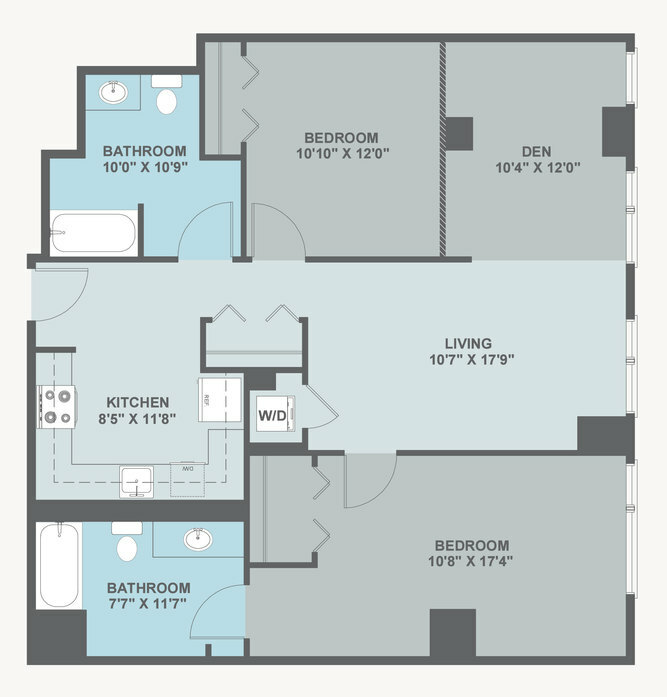 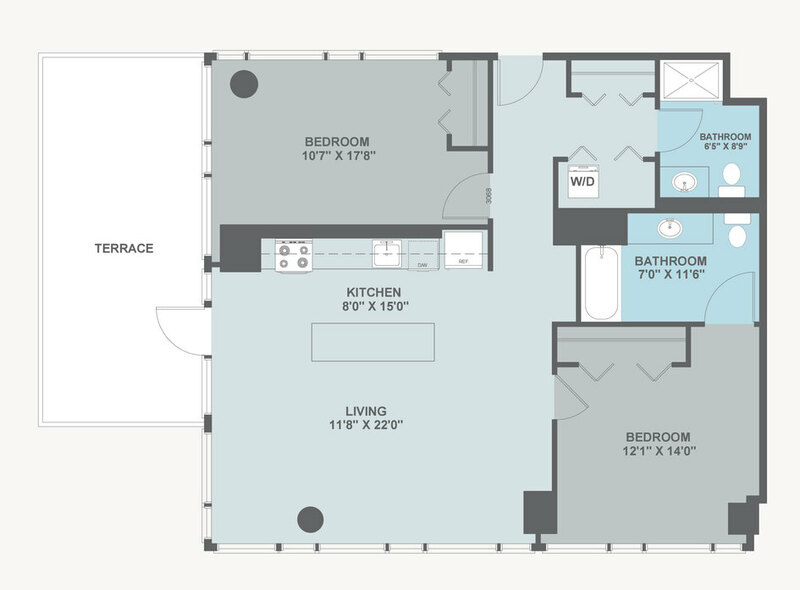 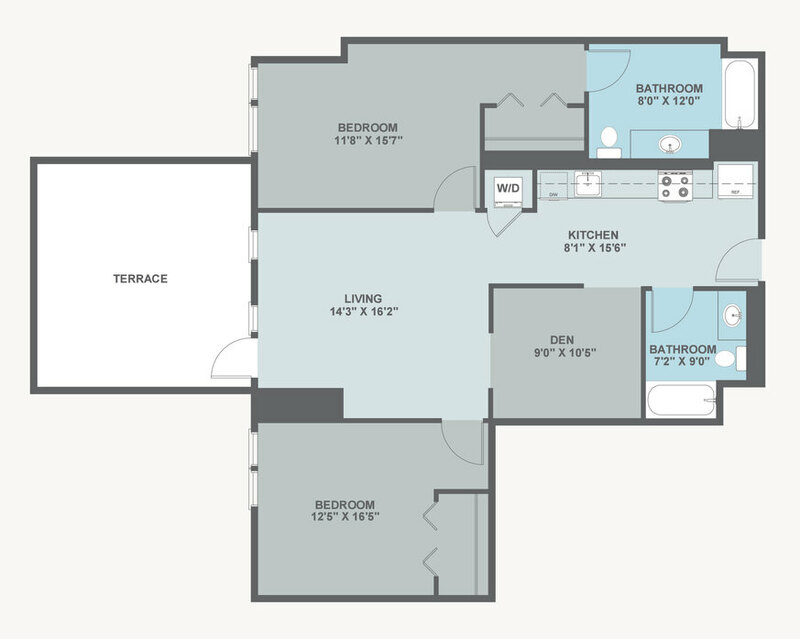 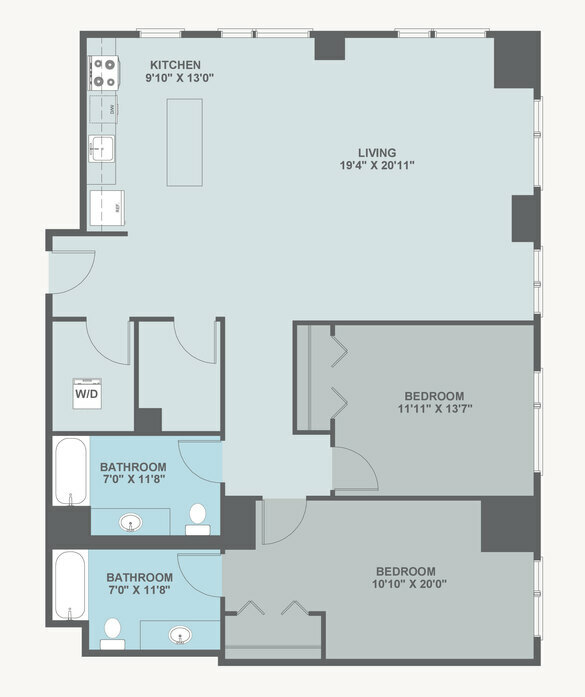 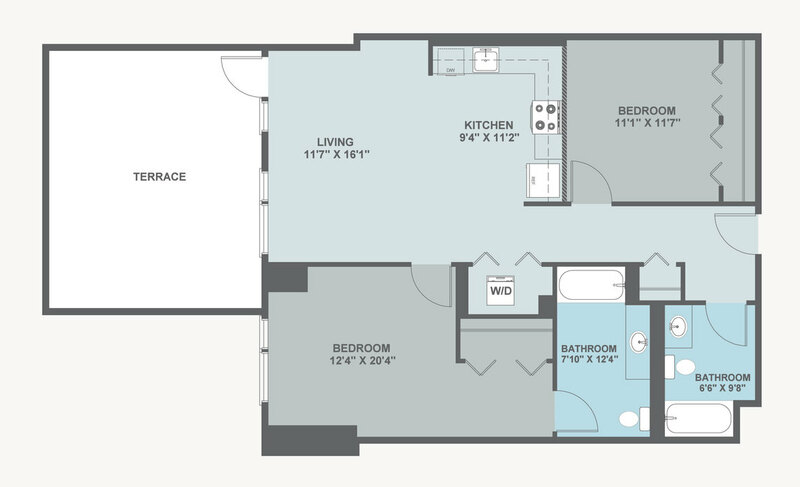 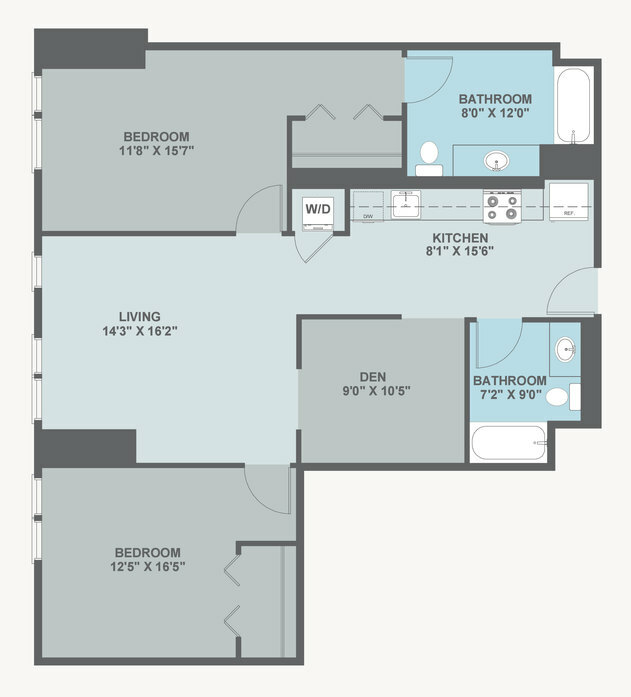 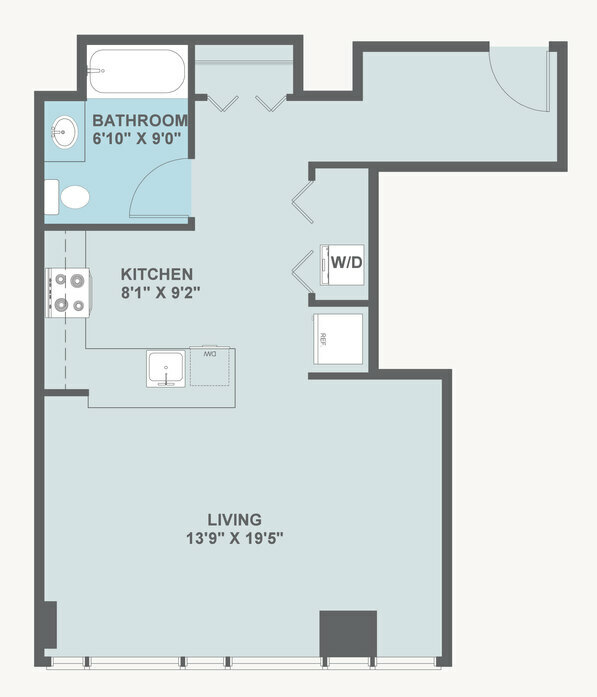 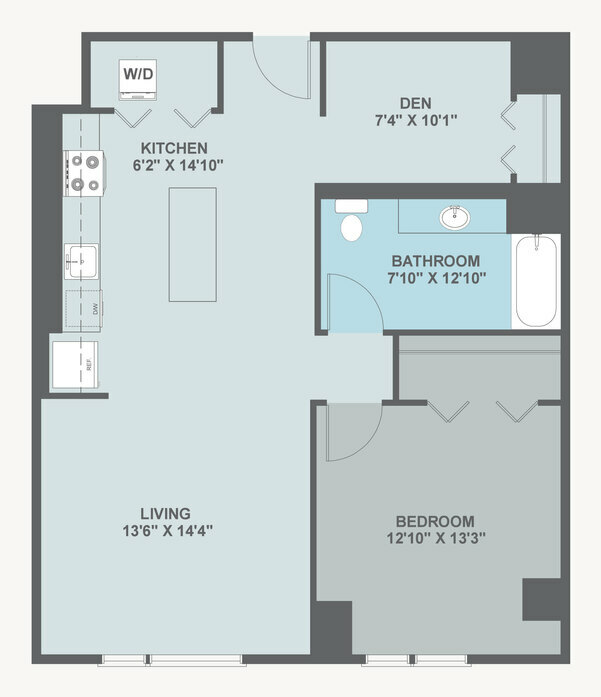 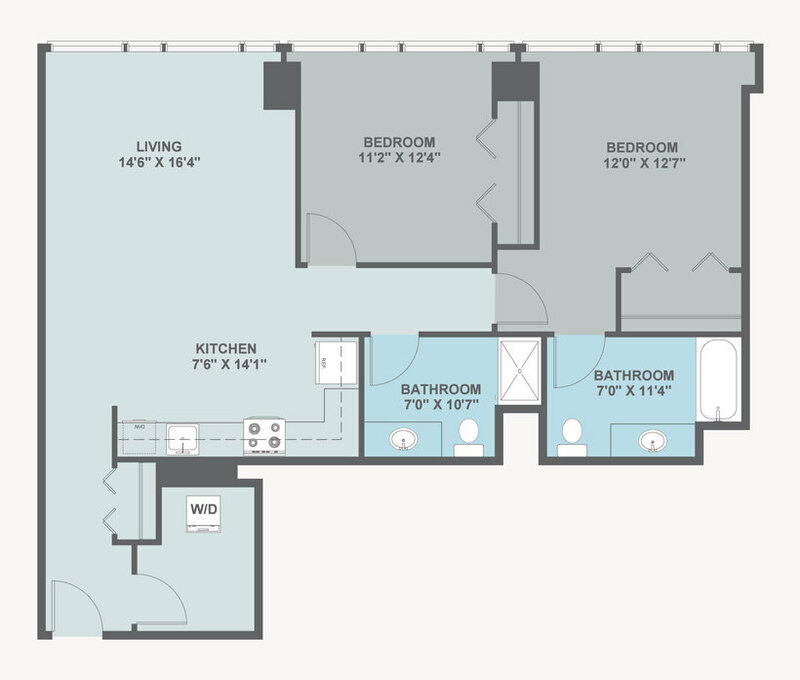 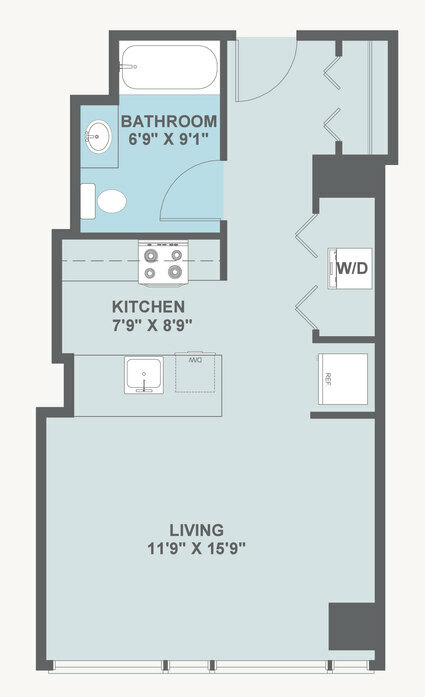 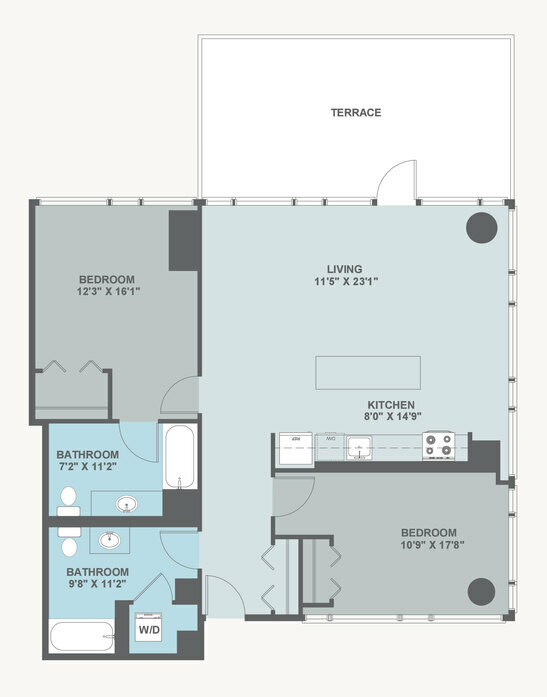 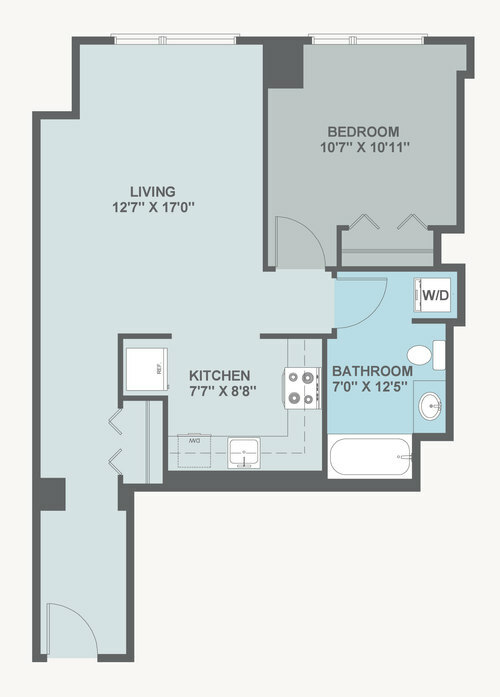 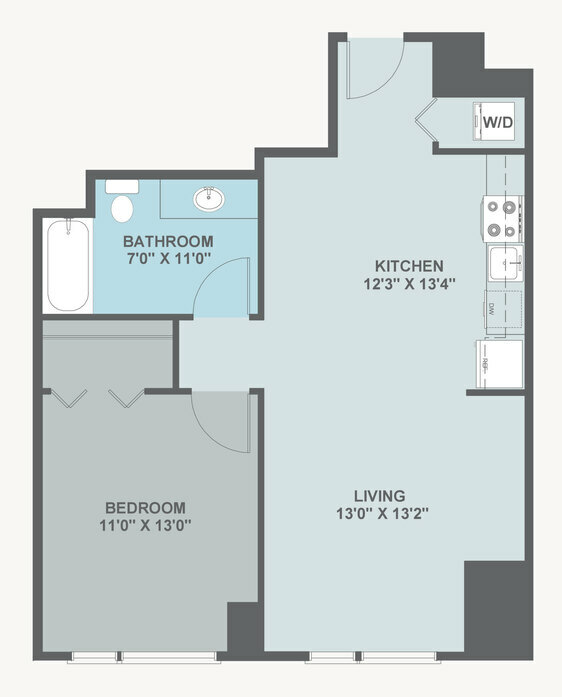 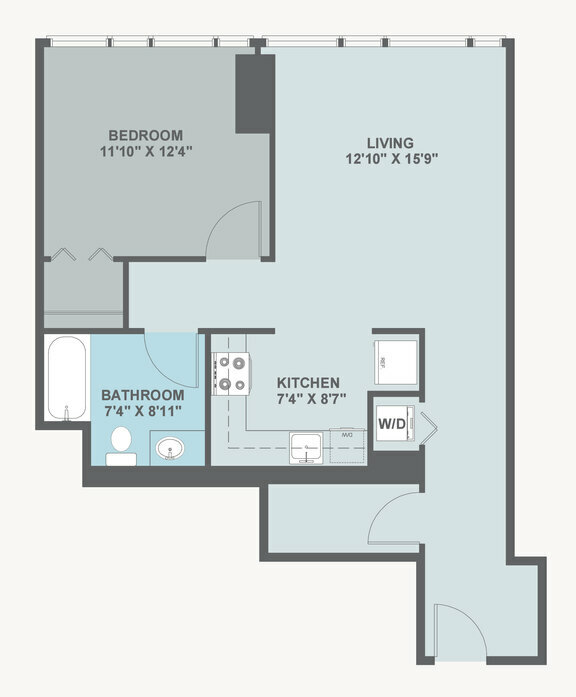 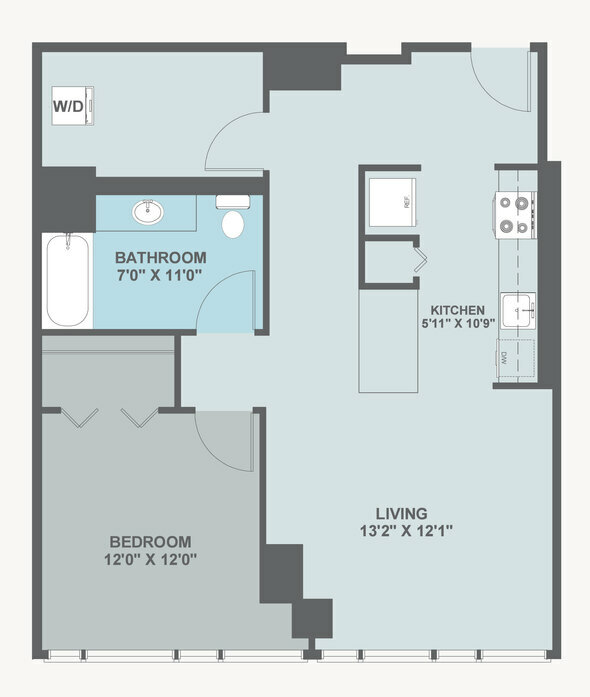 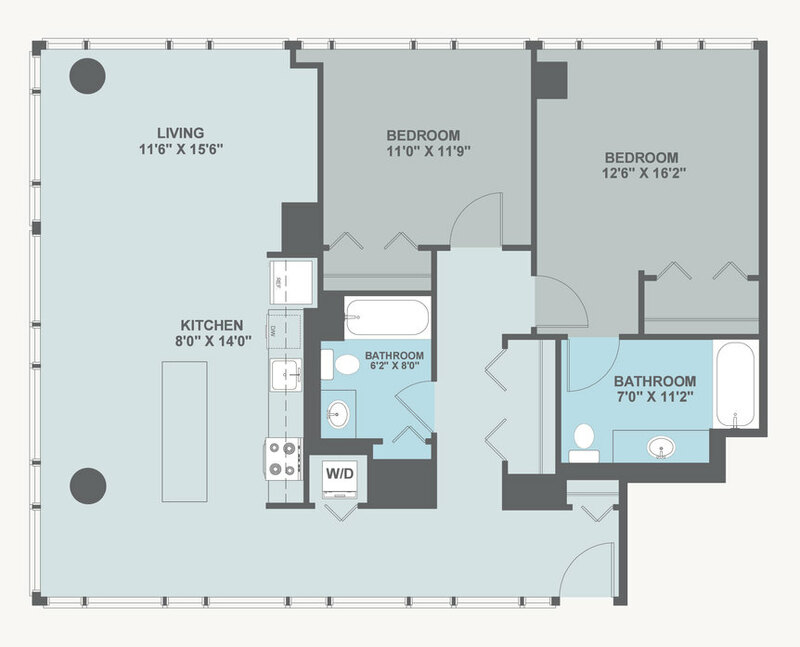 Not all dimensions on this floor plan are exact.